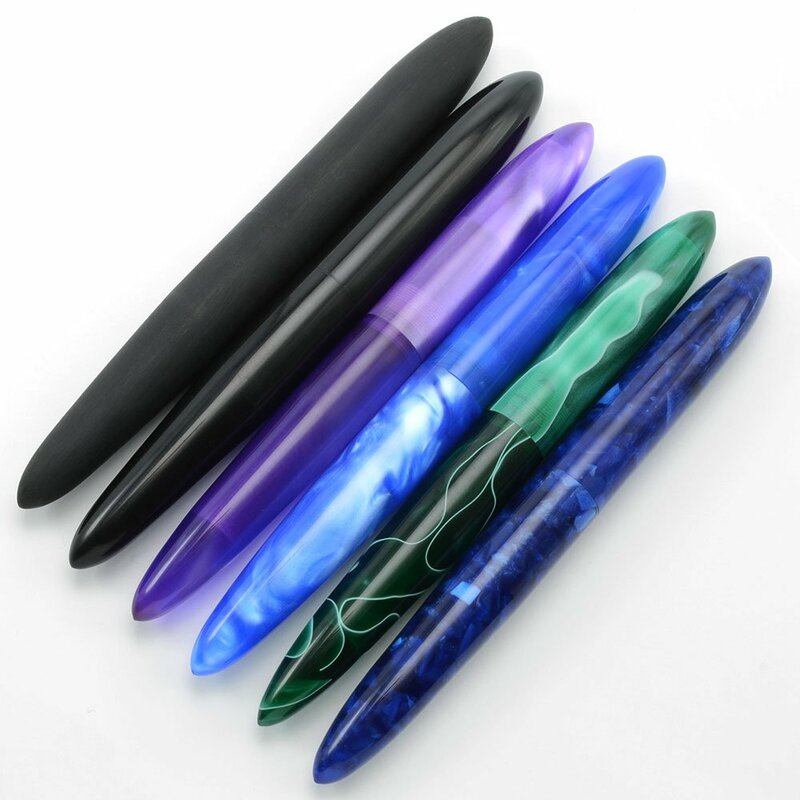 Giant 9B pens in acrylic and ebonite. Large almost 7" Indian fountain pen in a clipless torpedo design, made by Ranga of India. 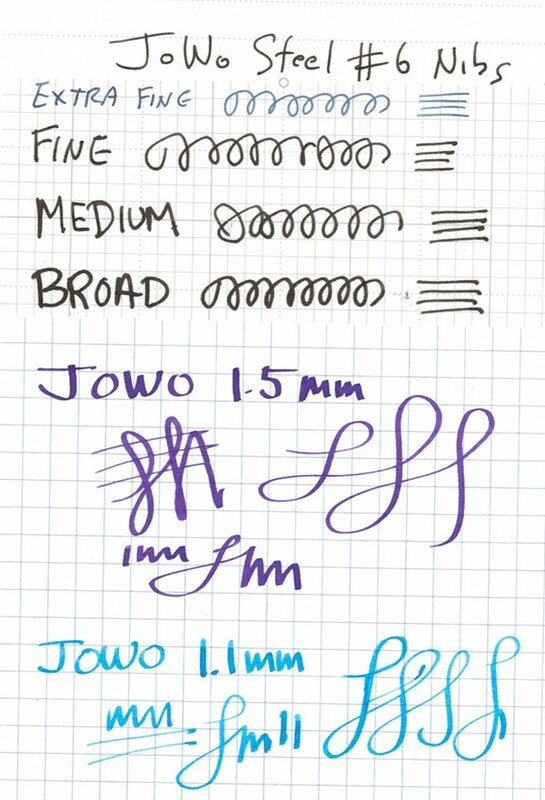 Cartridge or Converter with German screw-in nib units made by JoWo. This is not a model we ordinarily carry, and we have a limited selection. Product Name This is the extra large Model 9B, which is a torpedo shaped model. 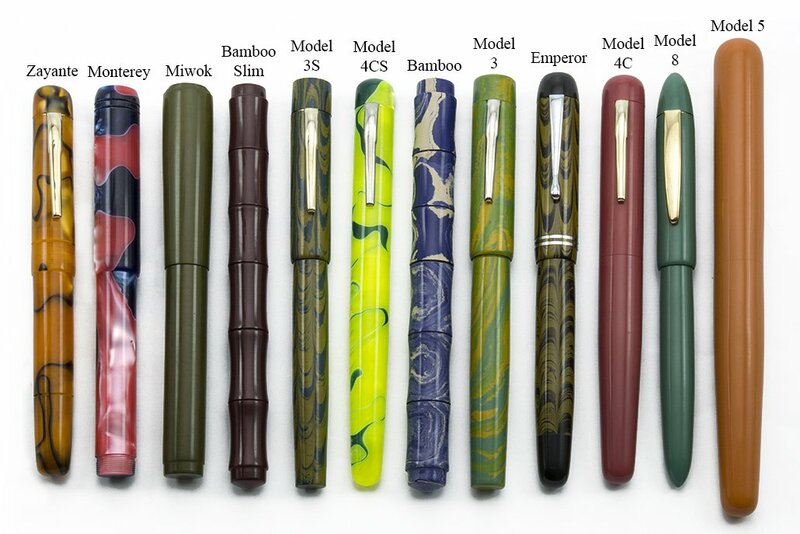 It differs from the 8B in that there is a smooth transition from barrel to cap. Color We have these in a few different acrylic and ebonite colors. You'll see the colors in the pull down menu. Please note that the model 9B does not come with a clip. We offer a variety of roll stops which can be installed on this model.